Indian money stashed in the Swiss Bank has become a focal point of debate. 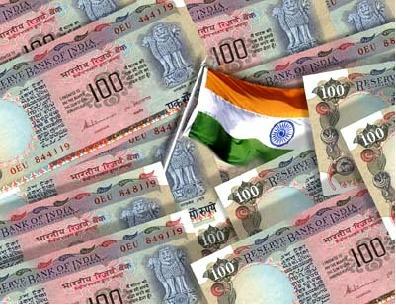 India has more money in Swiss banks than all the other countries combined. According to the data provided by the Swiss bank, India has more black money than rest of the world combined. India topping the list with almost $1500 Billion black money in Swiss banks, followed by Russia $470 Billion, UK $390 Billion, Ukraine $100 Billion and China with $96 Billion. It’s embarrassing for any country to top the list of black money holders. The money which belongs to the nation and its citizens is stashed in the illegal personal accounts of corrupt politicians, IRS, IPS officers and industrialists. An amount which is 13 times larger than the nation’s foreign debt. Every year this amount is increasing at a rapid speed but the Indian government seems to be silent over this matter from a very long time. The total black money accounts for 40% of GDP of India, if all the money comes back to India then that could result in huge growth burst for India. Once this huge amount of black money & property comes back to India, the entire foreign debt can be repaid in 24 hours. After paying the entire foreign debt, we will have surplus amount, almost 12 times larger than the foreign debt. If this surplus amount is invested in earning interest, the amount of interest will be more than the annual budget of the central government. So even if all the taxes are abolished, then also the Central government will be able to maintain the country very comfortably. In August 2010, the government revised the Double Taxation Avoidance Agreement to provide means for investigations of black money in Swiss banks. This revision, expected to become active by January 2012, will allow the government to make inquiries of Swiss banks in cases where they have specific information about possible black money being stored in Switzerland.